I selected songs that represented what happened in my life each month of the year. Last year was about my broken relationship and my moving home to start a new life. I had no idea what 2010 would have in store for me. Well, there was lots of dancing, celebrating, love and a lot less heartache. Take a listen to my 2010. Uploaded by erichedly. - Music videos, artist interviews, concerts and more. You are amazing Lindsay! I wish I could tote you around all the time! You a big ball of happiness and fun... and thats what my life has been all about in 2010! I plan to carry it on in 2011!! I love you!!! I really, really dooo!!!! Great choices - I thoroughly enjoyed this post. 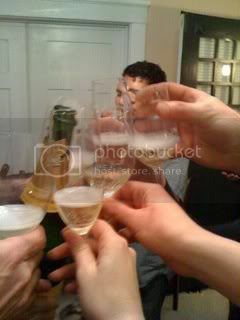 I wish you many more laughs, tears of joy and fun moments in 2011. Loved listening to this. So much fun.